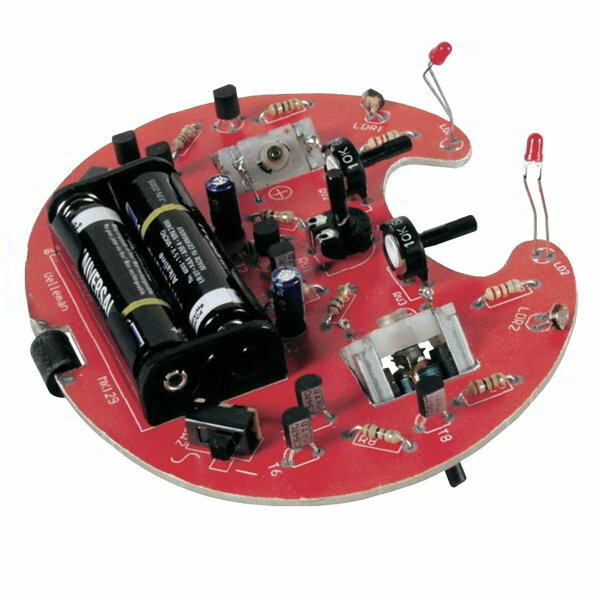 The Crawling Microbug Electronic Kit is used to create a small bug like robot. This Microbug is attracted to light. It will stay silent and motionless in the dark but immediately head toward the brightest light it can find. Light sensitivity is fully adjustable and two LEDs "eyes" provide directional feedback. This is a beginner to intermediate level electronic kit that requires soldering. The kit consists mostly of standard through hole components and a few motors. No delicate IC chips or surface mount soldering is required. This Microbug robot operates on two AAA batteries.